“The Thames is liquid history,” said John Burns, and sadly much of that history makes for an unedifying tale. My debut novel, Blood & Sugar, is set on the banks of the Thames at Deptford. The year is 1781, when the British slave trade was at its height, and fortunes in sugar, tobacco and slaves poured into London. 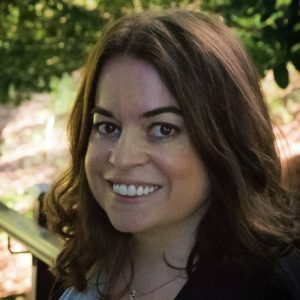 I wanted to write this book because I am ashamed of our slaving history and hoped that by exploring it in the context of a crime novel, I could bring some of that history home to a wider audience. Like many, I studied Britain’s role in slavery at school, learning about the horrors of the Triangle trade and the slave ship Brooke. Yet most of that history was viewed through the prism of William Wilberforce and slavery’s abolition, which was presented as a great stride forward for modernity and enlightenment. Our active participation in the slave trade for nearly three centuries remains an uncomfortable subject, too little understood. Deptford, then a separate town to London, five miles from the city, was one of several slave-trading ports on the river, home to sailors and prostitutes, merchants and their slaves. 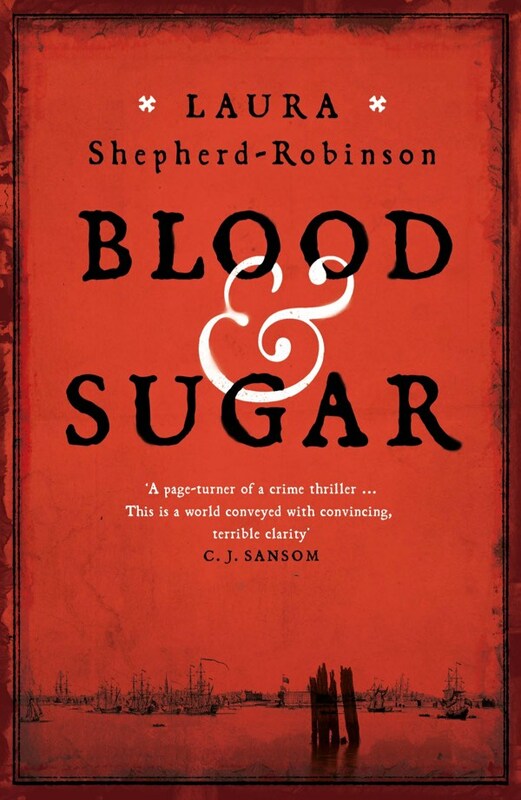 In Blood & Sugar, an abolitionist is found murdered, hung on a hook down at the dock. An estranged friend of the victim, Captain Harry Corsham, travels to Deptford to hunt down the killer, only to discover a conspiracy that goes to the heart of the British political establishment and its links to slaving money. Harry’s investigation threatens his political prospects, his family’s happiness, not to mention his life, and risks uncovering secrets from his past that have the power to destroy him. In 1781, Deptford comprised two separate settlements: Deptford Strand or Green, the working Thameside port; and Deptford Broadway nearly a mile to the south, where the town’s merchant class lived near to the toll-bridge over Deptford Creek. Harry moves from seamy dockside alleys packed with brothels, taverns and opium dens, to the elegant villas and terraces of the slave merchants in the Broadway. Deptford is a town that faces the world, gateway to Africa and the Caribbean, but also sullen and insular, looking after its own. The town’s inhabitants are protective of their wealth and their secrets, and the river provides a convenient repository for the bodies of those who know too much. Deptford’s history is well worth exploring. Long a working industrial district of London, little pockets of 18th century architecture survive, and the foreshore with its old timbers and moss-slimed waterstairs is wonderfully evocative of another era. Walking tours available online delve into the town’s slaving history, including its links to the prominent black abolitionist, Olaudah Equiano. Then, as now, Greenwich was Deptford’s grander neighbour, and that town too is the setting for several scenes of Blood & Sugar. The Isle of Dogs across the water, was a marshy wasteland at the time, notable only for windmills, and a gibbet displaying the bodies of hanged pirates and mutineers. One of the sub-plots of Blood & Sugar concerns the Mayor of Deptford’s campaign to found a new purpose-built West India dock in the town. That dock, of course, was eventually built on the Isle of Dogs, where the shining towers of Canary Wharf stand today. As well as the tale of a murder in Deptford, Blood & Sugar is the story of a massacre of slaves on the other side of the world, an appalling incident inspired by real events. Deptford’s links to that massacre and the subsequent attempts to cover it up provide Harry with both opportunities and danger. The town gives up its secrets grudgingly, like the mudflats of the Thames, but Harry refuses to back down, whatever the cost. Over everything in Deptford hangs the stench of the slave ships, an olfactory reminder of the corruption that pervades the town. The all-encompassing, degrading, brutalising effects of slavery upon its inhabitants are everywhere in the book, from the slave wealth that governs the town’s politics and its interactions with London; to the sailors driven by poverty to the slave trade – and the appalling things that trade demanded of them; to former slaves trying to make a life for themselves and overcome the brutality of their past; and current slaves desperately trying to gain their freedom. 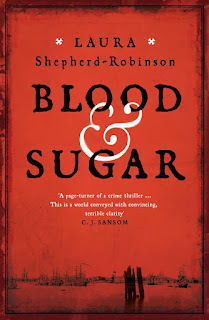 Blood & Sugar is a crime novel with many murderers, yet the greatest villain is slavery itself. June, 1781. An unidentified body hangs upon a hook at Deptford Dock – horribly tortured and branded with a slaver’s mark. Some days later, Captain Harry Corsham – a war hero embarking upon a promising parliamentary career – is visited by the sister of an old friend. Her brother, passionate abolitionist Tad Archer, had been about to expose a secret that he believed could cause irreparable damage to the British slaving industry. He’d said people were trying to kill him, and now he is missing . . . To discover what happened to Tad, Harry is forced to pick up the threads of his friend’s investigation, delving into the heart of the conspiracy Tad had unearthed. His investigation will threaten his political prospects, his family’s happiness, and force a reckoning with his past, risking the revelation of secrets that have the power to destroy him. And that is only if he can survive the mortal dangers awaiting him in Deptford . . .